The goal of search engines is to provide relevant information against search results that precisely answer the question. To build a smart SEO campaign, you must have a good understanding of how the audience searches the products and services in your industry niche. It requires a thorough knowledge of the search query by looking beyond the literal meaning of the word or phrase and trying to discover what prompted users to frame the search query. Once you know or for that matter search engines know why users raised the question it unveils the intent behind it and on knowing the intent, it becomes easy to provide the matching answer. Search engines use advanced algorithms, and by analyzing the massive volume of traffic, it determines which results would be befitting for the query.To develop sound search engine optimization and content strategies it is crucial to understand the broad categories of intent to target the keywords by capturing the purpose behind it. Every SEO company including Seattle SEO Golden search advantage go through a process to understand the intent behind the targeted keywords that form the backbone of SEO campaigns. 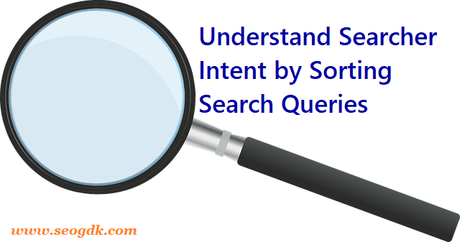 To understand what search intent means it is better to try to find the answer to why did searchers raise the query, what are they trying to achieve by knowing the answer or information. Search queries fall into four categories according to the intent behind it – Informational query, navigational query, commercial query, and transactional query. The largest volume of searches that we commonly encounter belongs to this category. Searches of this type are entirely informational meaning that searchers want to gather information without having any specific plans of using it. They want to learn about a topic or subject and collect information at random. In the marketing context, information search queries exist at the stage when consumers are just about to begin their journey in purchasing. This is the time which in marketing parlance is known as the discovery phase with minimal chances of visitors progressing towards conversions that turn them into customers.During this phase, searchers would be happy to gather useful information that provides specific answers to their queries very clearly. They expect the search results to throw up information that complements their expectations. The information must relate directly to the products and services of your business so that it brings you in front of the audience and build awareness and generate website traffic. When searchers are looking for some specific website, business or brand, they will type in the name of that website so that they get help from search engines to reach that page or website. This type of searches generates high-value traffic because searchers are already familiar with the brand or business and want to interact with it with some purpose. Searches with brand names or product and service names feature in this category. Searchers want to reach some specific page like the home page, product page or page related to services. Commercial queries as the name implies is to have the clear intent of engaging in some transaction while gathering some information in the process. Transactional intent is apparent in these searches as the searcher is keen to make a purchase but at the same time want to gather information that could help to take a well-informed decision. It is quite natural that results against such queries would comprise of a mix of product or service pages as well as informational pages. This type of queries prominently underlines the commercial intent because searchers are ready to make a purchase. The intent is very clear in the query that includes terms like sale or price. The corresponding results would naturally include pages related to products, services, subscription, etc. that are entirely commercial. Having understood the type of queries, marketers must categorize the keywords accordingly so that it aligns with the kind of intent and it becomes easy to understand what searchers want that facilitates optimization and creation of pages that carry information. SEO optimization becomes most effective when you know the intent and optimize for it. Besides discovering the intent, you should try to figure out what is Google's understanding of the intent and whether it matches with yours. It should help to find the answer for what type of result would make searchers happy or what they are looking for.